Hi. 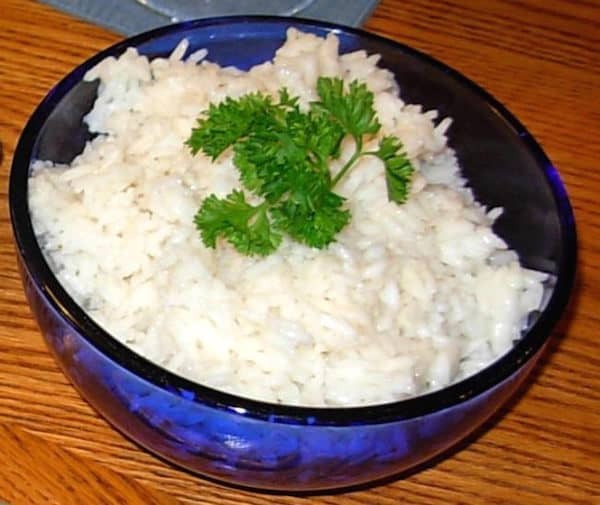 Don here, telling you about Coconut Basmati Rice, a subtlly flavored rice that goes with just about anything. Lois and I are involved in the Quaker summer camp program for kids in our area. 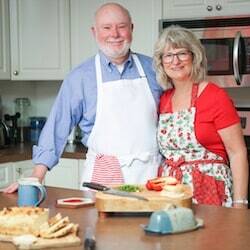 This year as a fundraiser, they published a cookbook with all the favorite foods served at the three Quaker camps in Virginia and Maryland. 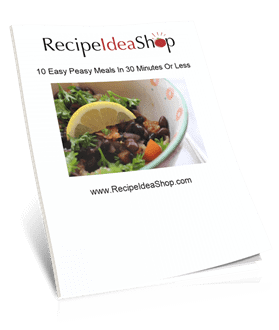 All the recipes we have tried are terrific. Looking through the cook book for a side dish to complement the roast chicken we were preparing, Lois found a coconut rice recipe. It has the three elements I think make it a good choice: it’s different, it’s wholesome and it’s easy. We know you’re gonna love this. Combine all but the rice and coconut milk in a heavy sauce pan. When the water mixture boils, add the rice and coconut milk, stir, and loosely cover the pan so steam can escape. Simmer the rice for about 10 minutes, stirring occasionally until all the liquid is absorbed. Cover the pan tightly and remove from heat. Let it sit for about 10 minutes before transferring to a warm serving dish. If you want, garnish it with a sprinkle of the toasted coconut. 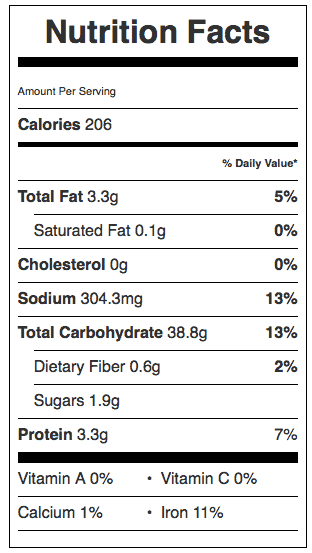 Coconut Basmati Rice Nutrition Label. Each serving is about 1/2 cup.